Being physically active is crucial, also when you are a tiny toddler. And for a toddler, playing is what will get you active. With the TOTS series, toddlers are encouraged to explore the world around them through a series of responsive play explorations such as manipulative play panels and music panels. Interpreting the responses, they get as they play, will grow their understanding of the world, train their thinking-skills and develop fundamental life skills. New ELEMENTS™ TOTS is what toddlers need to become ready for kindergarten, school, and life. 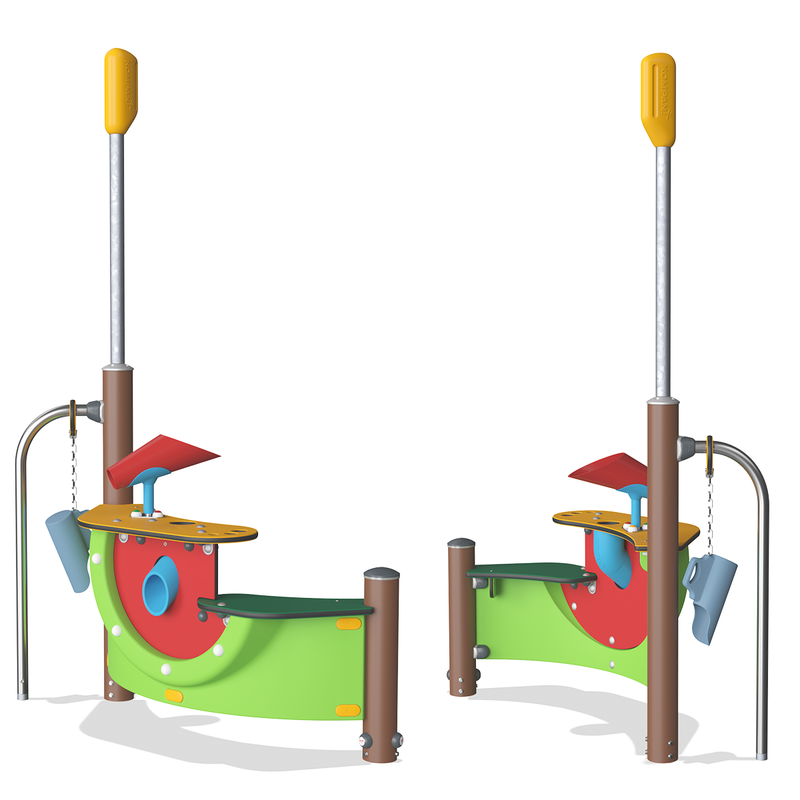 New ELEMENTS™ TOTS has graded universal play access using ramps and transfer platforms. The many ground level activities and accessibility permit users of all abilities to be part of the play. Sand and water are two of children’s favorite sensory stimulating play activities. 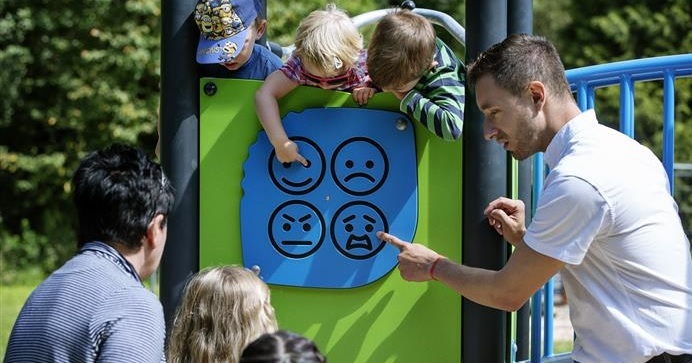 This panel allows for quieter play and has room for toddlers to play side-by-side. 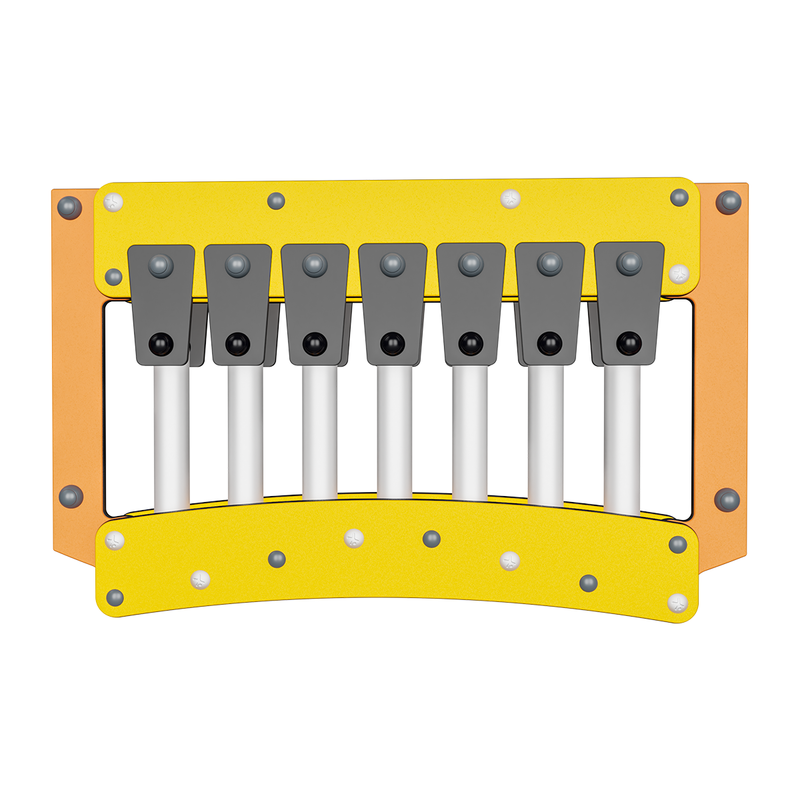 The TOTS series offer a great variety in manipulative play panels that train children’s cognitive skills. Here above a panel with a turning disk stimulating logical thinking. Playing with music panels, toddlers receive and interpret responses in music and sounds. The toddlers can access from both sides and play and communicate with a friend. New ELEMENTS™ TOTS comes in 3 inviting colour themes using bright, bold colours. 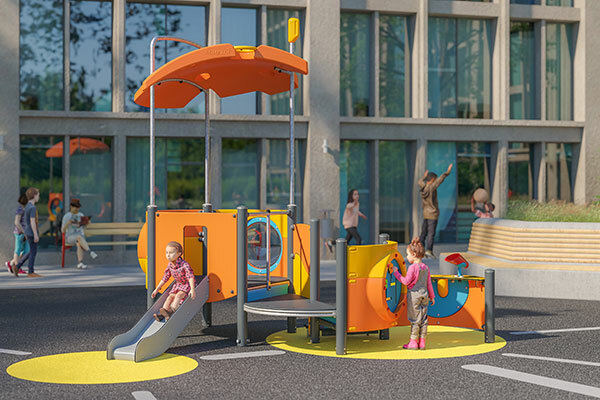 The strong design gives a New ELEMENTS™ TOTS play site a happy, warm and inviting look that appeals to younger children. For a tiny toddler, play is how you develop new life skills. 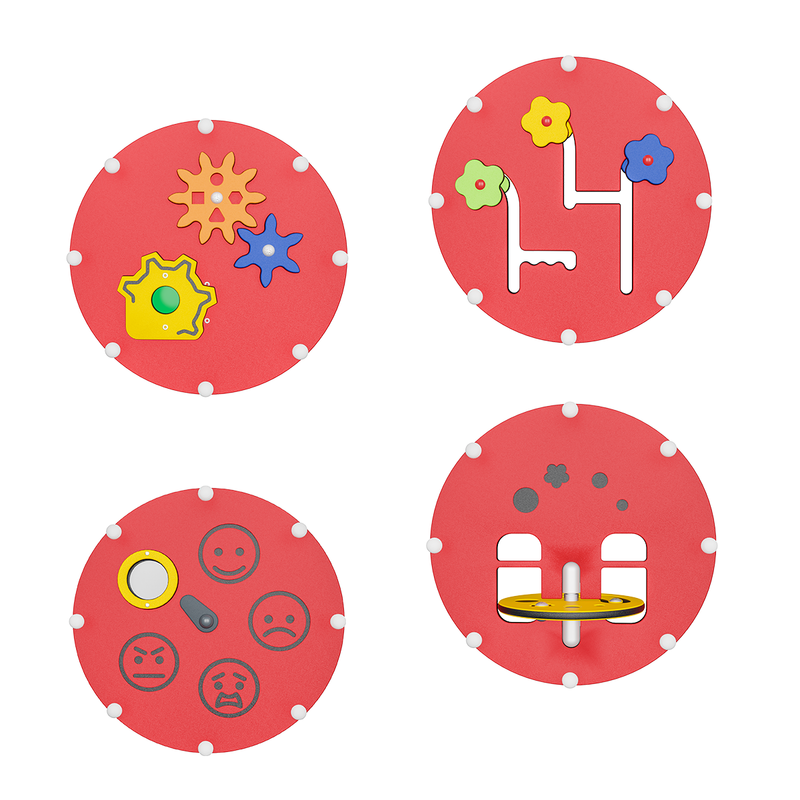 New ELEMENTS™ TOTS is a universe of responsive play activities that allow toddlers to explore and grow new skills based on the play responses they get.